Piano Craft - Don't risk your piano with inexperienced movers. We're the top grand, upright, and vertical piano movers in the Springfield, MO area. Affordable and insured. Your piano, whether it is a new purchase or a family heirloom, is surprisingly delicate. With upwards of 12,000 moving parts, all comprised of natural materials, you can imagine what kind of havoc even the smallest drop could wreak on your beloved instrument. We staff only piano moving experts. Your instrument—whether you bought it with us, inherited it from a family member, or even bought it from a private seller—is safe with us. We can move a grand pianos from baby grands up to 9' 6" concert grands and even have the capability to transport them up and down staircases, provided there is ample room and stair stability. maintain their delicate finish and proper tuning. We are experts at moving upright and vertical pianos. Digital pianos may not need to be tuned, but they do present their own challenges. Their finish must be protected and in the case of digital grands, they should be properly broken down and boarded before transport. We are capable of safely transporting your beloved digital piano. 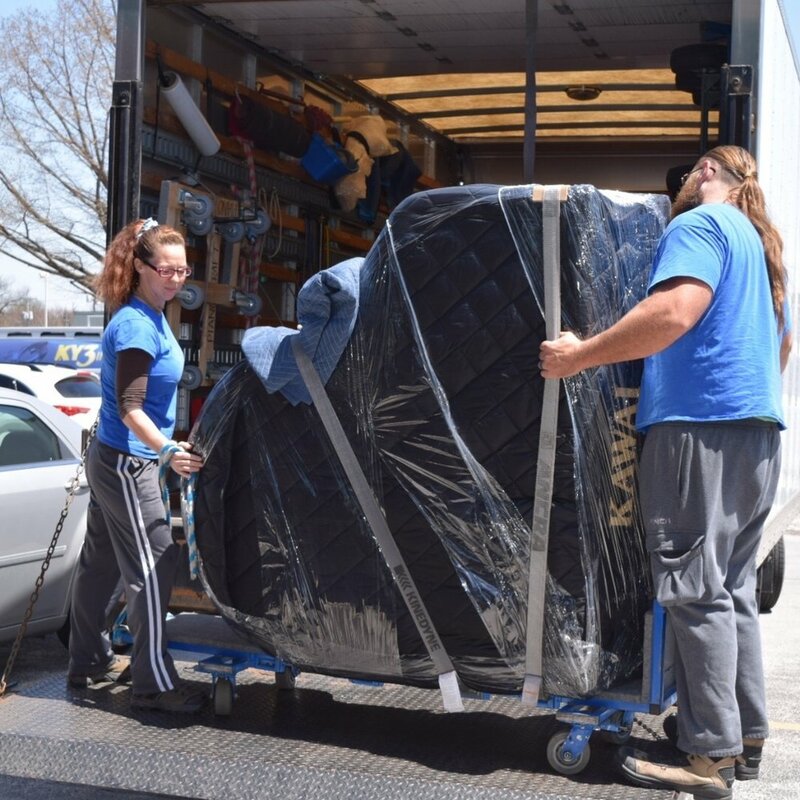 Contact us at 417.881.3035 for a piano moving quote.